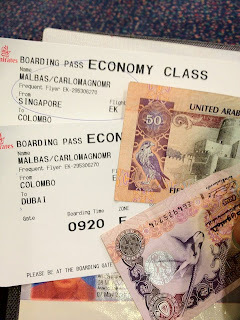 Exactly one year ago, I entered Dubai for the first time and I bid farewell to Singapore. It was actually an emotional day for me. Singapore has been my second home and a lot of memories, good and bad, made me who I am now. My one year experience here in Dubai is very challenging. The first few months were the time of adjustment. I was alone most of the time because I stayed alone in a hotel apartment for a month. The job was a bit stressful at first as I had to complete the training with a passing grade. I only have few friends here unlike in Singapore where I have a lot. My life here in Dubai is a bit slow and everything seems to be relaxed. I found a church, met new friends via small group and continued my path towards Him. My job became demanding but most of the time, it was boring. I joined Fitness First and started to lose weight with the help of my trainer who eventually became a good friend. I also had the chance to travel again (my favorite thing to do) and in a span of one year, I was able to tour three countries: Nepal, Turkey and recently Romania where I spent quality time with my sister. I also got the chance to take a vacation in Manila and Singapore after staying here for only four months. My boss was kind enough to approve my leave. My father visited me here and I really enjoyed those times. It was one of the highlights of my stay here and every minute of it was priceless. A college friend also came here for a business trip but still, we got the chance to see each other and spent quality time and reminisced the past that we had during the college years including some gossips and updates. The challenges started when I struggled in my job and I felt I was left alone and the work wasn't that fulfilling. Also, I got sick this year and it was really bad. I had Bell's palsy and I almost gave up that time as it was very painful. There were no family members who took care of me but I was able to recover with the prayers from them and also from close friends. I think that was the lowest point of my life here in Dubai. But it was not always sadness; I was able to buy a house and lot for my parents and that brought me a great joy. Also, I am now an uncle since my sister gave birth to a baby boy. Life is indeed full of obstacles that we must overcome. My experience here in the Middle East taught me how to be more independent, how to handle sadness, enjoy happiness and how to embrace the gladness and pain of love related matters. It will be a long journey to fulfill my dreams but I am not really sure if Dubai will answer all of it. Well, I survived Dubai for one year, let's see how it goes. Some things might happen and I'm not sure where opportunities will bring me.